Piedmont, late summer. The sun is setting and shines over the hilly landscape near Barolo, while the sky turns red and twilight approaches. 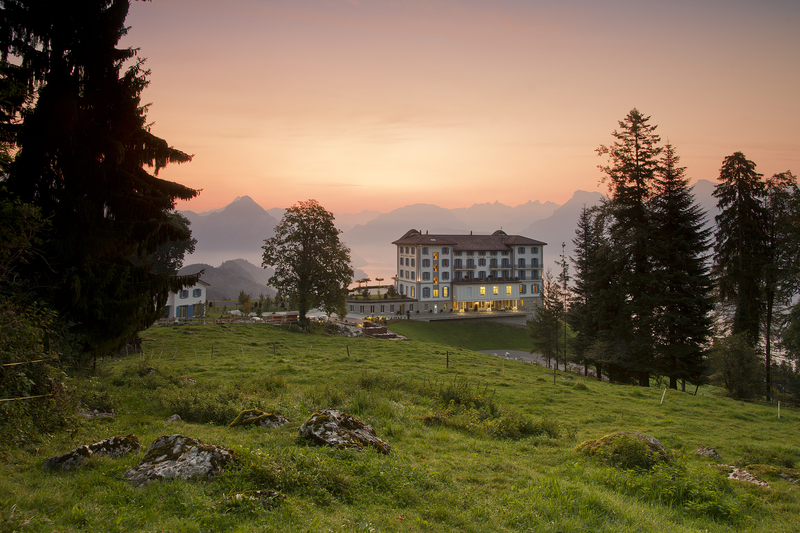 We are surrounded by vineyards, winding roads and pretty Italian villages. The windows are open, a pleasantly warm wind blows through my partner’s hair, we are on our way to Monforte D’Alba and life is just simply beautiful. 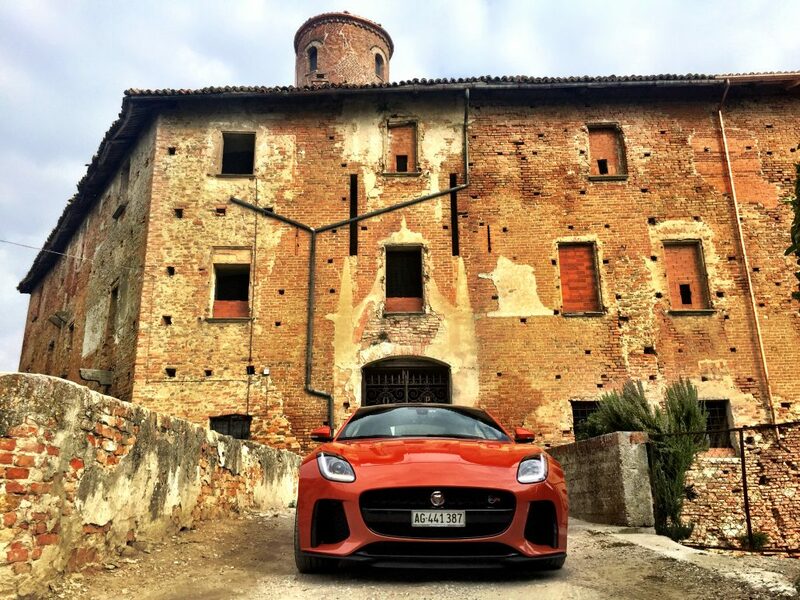 The breathtaking sound of the hissing V8 halls through the wine region as I approach the next bend with my Jaguar F-Type – short braking, turning in and out at full power. I can feel this car doesn’t do any compromises! At this point, it’s still a press car I’m testing for A Gentleman’s World. 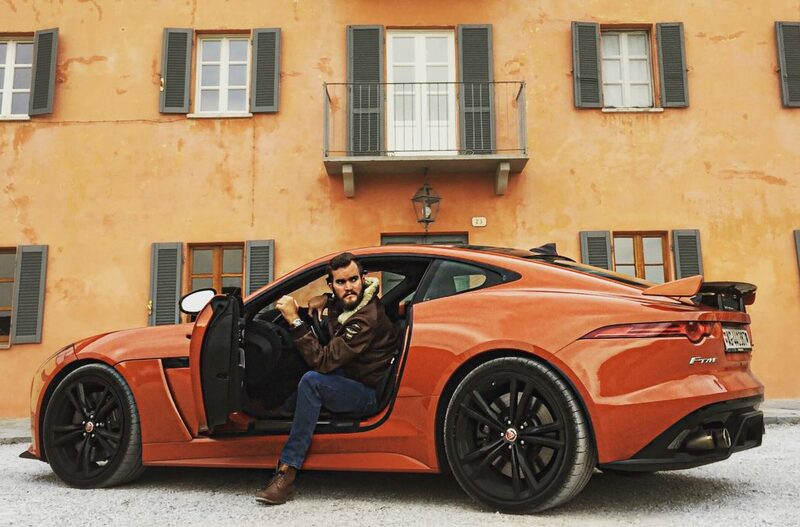 It’s the moment I know I want a Jaguar F-Type – simply, because it’s probably the most emotional cars I’ve ever driven. Now, I own it since 3 months and I thought it’s time to take a look back. 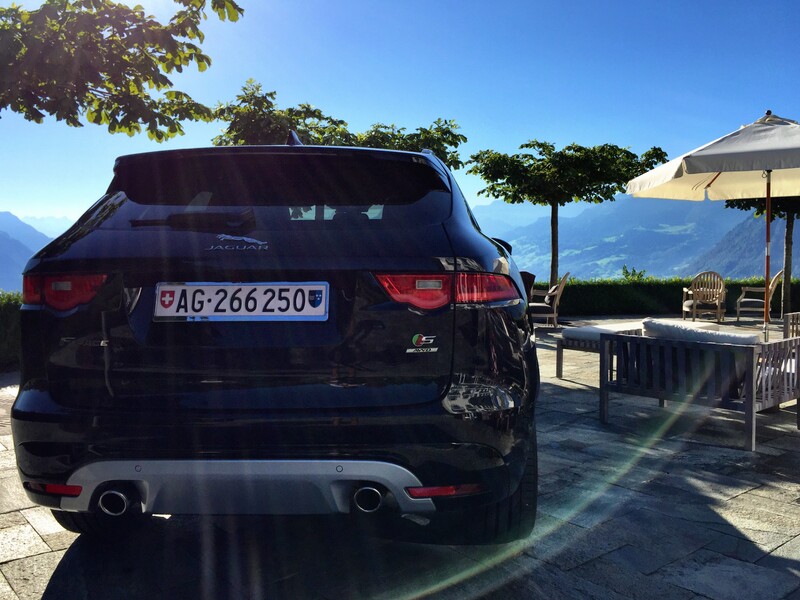 A few months before our trip to Piedmont, we drove the Jaguar F-Type S Convertible to Gstaad, the V6 looks unbelievably beautiful and is a lot of fun – but the V8 tops simply everything. 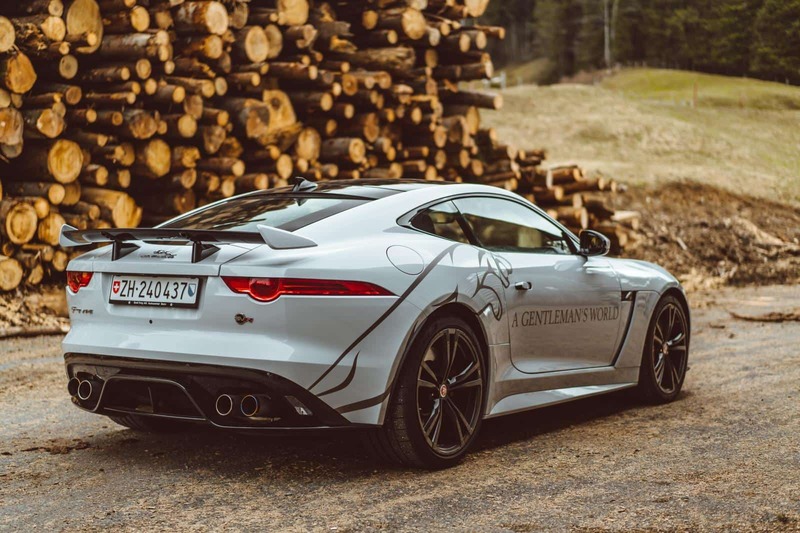 From the long bonnet, the harmonious curves to the potent rear with its spoiler – the Jaguar F-Type is an absolute eye-catcher. It is impossible for me to stop at a gas station without talking to curious pedestrians. I’ve stopped counting how many great compliments I’ve already received for this car. In comparison to the Italian competitors, here one finds a very noble and above all functioning interior, manufactured from high-quality, noble and solid materials. There’s absolutely nothing rattling, no wind noise (which you wouldn’t hear with the sound anyway) or similar. It’s British made-to-measure perfection. 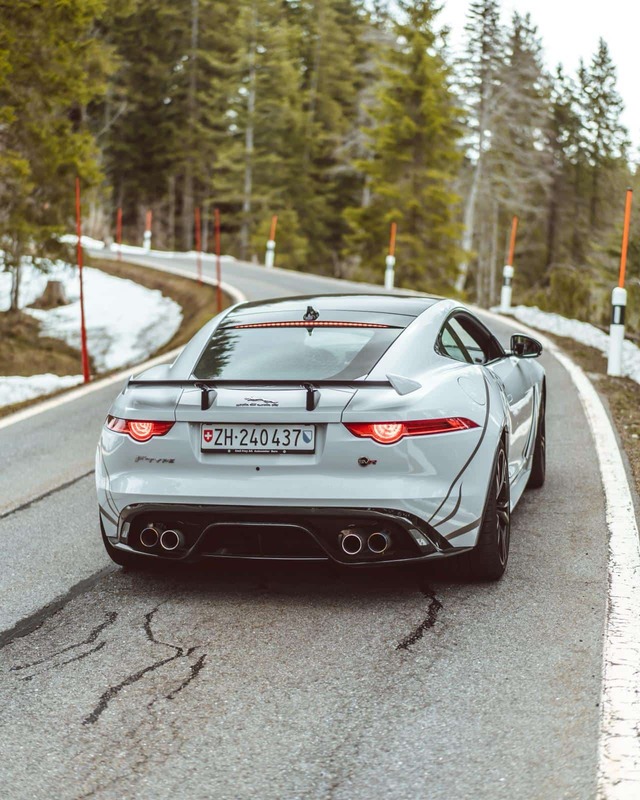 The Jaguar F-Type SVR was developed by the Special Vehicle Operations (SVO) department, which focuses on how to make it aerodynamic, lighter and faster. The Jaguar F-Type lost weight and now weighs around 1’700 kg. From 0 – 100 it takes 3.7 seconds, while the titanium exhaust system initiates an orchestra that is unparalleled. It is really impressive how severe and uncompromisingly things are progressing here. 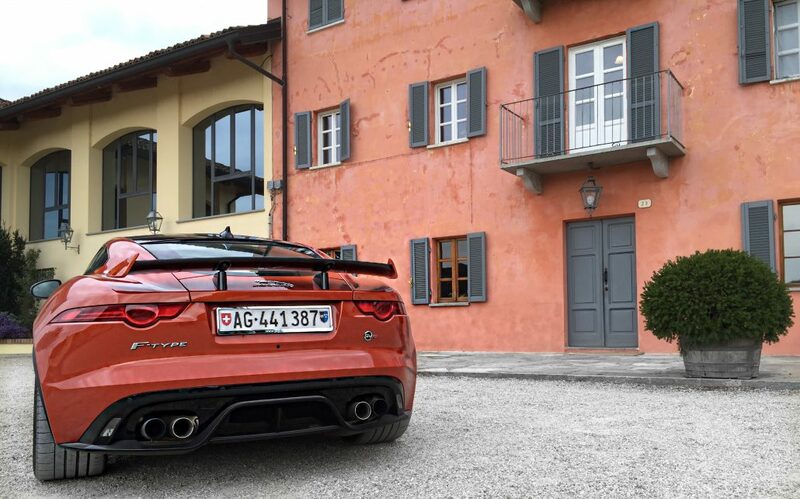 The SVR pushes so hard, you never miss power. In numbers? 575 hp and 700 Nm torque. How it feels to drive? A bit like a deafening and unstoppable wrecking ball, madness! Then there are numerous extras: if, for example, the spoiler is extended, air resistance is reduced by 2.5 percent and the lift coefficient by 15 percent (more downforce – or even easier – more grip on the race track). In principle the F-Type SVR is an all-wheel drive, but distributes approx. 75% to the rear axle, which leads to a lot of driving pleasure. However, it is not recommended to drive outside the race track without ESP, because the rear comes out of the bend in full force and does not allow any mistakes! With ESP, however, the Jag confidently corrects the enormous power. 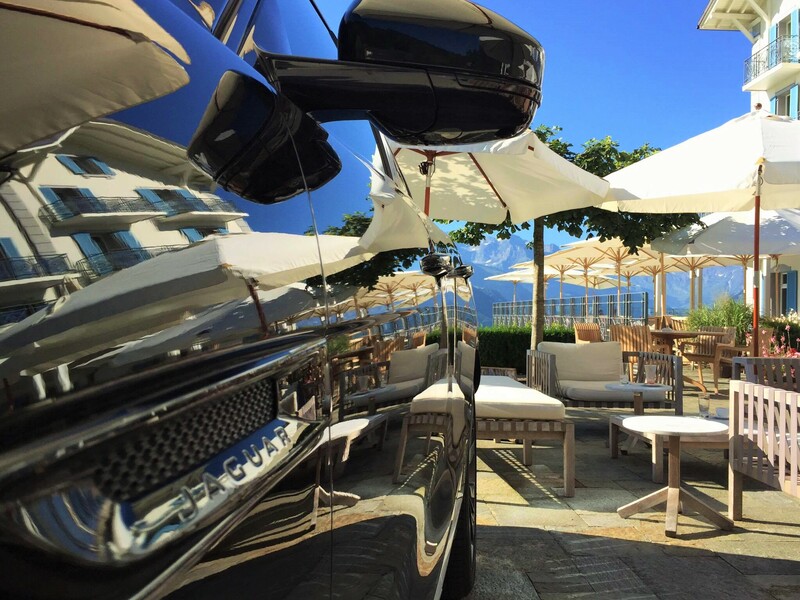 In terms of everyday suitability, the F-Type scores 1st rank and offers enough space for a week’s holiday. I’m comparing vehicles I’ve already driven. 5. Where can I get better value for money? Of course, a car should be practical. You need a car for the city? A Range Rover Evoque could be an option. 4-person family? 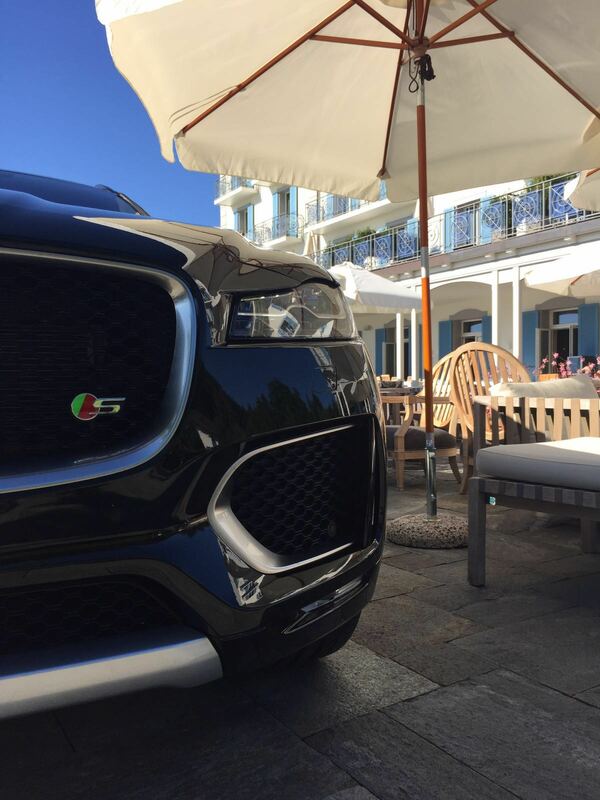 How about the Jaguar F-Pace? But when it comes to the perfect Grand Tourer, I simply have never had a car with such good value for money. There’s a 911 at every corner in Zurich. At every corner. No question, it’s a great car and who hasn’t dreamt of it? However, an average equipped 911 4s costs a similar amount of money and in my opinion does not offer what the F-Type has. 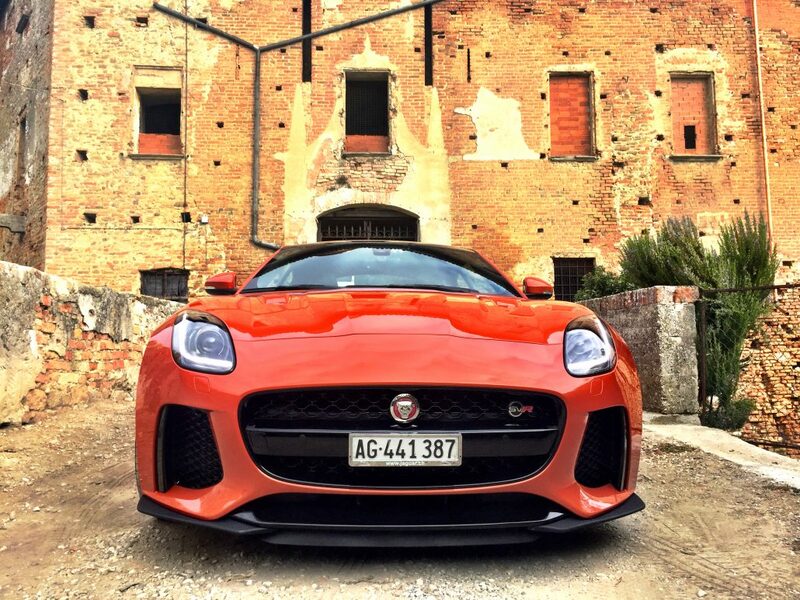 The Jaguar F-Type has something no one else has: a mix of individuality, uniqueness and elegance. My conclusion? Jaguar got away from the somewhat rusty ‘grandpa image’. 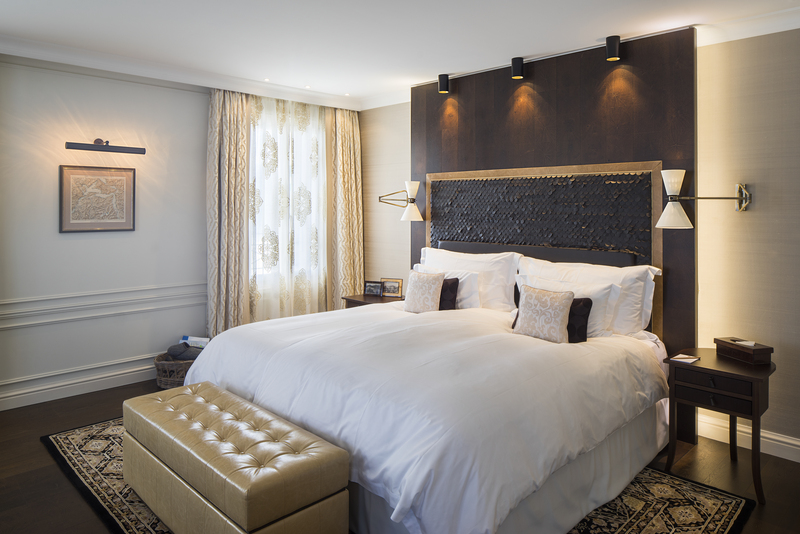 They are back again, in full presence and with the typical elegance and timelessness. 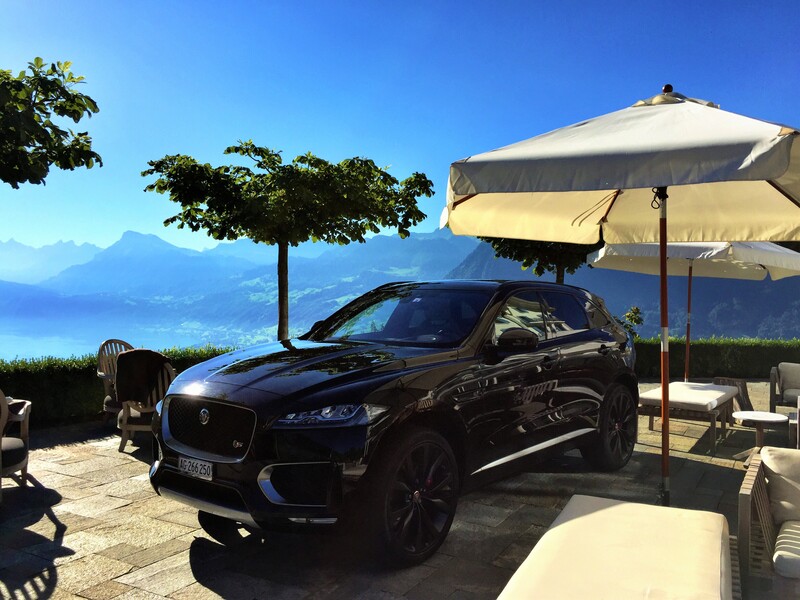 I am the owner of a ‘Jag’ – and honestly, I am more than happy with it! Geneva, March 06. 2018 – Journalists and media representatives from all over the world traveled to Geneva. At around 11:00, the Jaguar Land Rover booth fills up slowly and just before the press conference starts, it’s almost impossible to find a place. 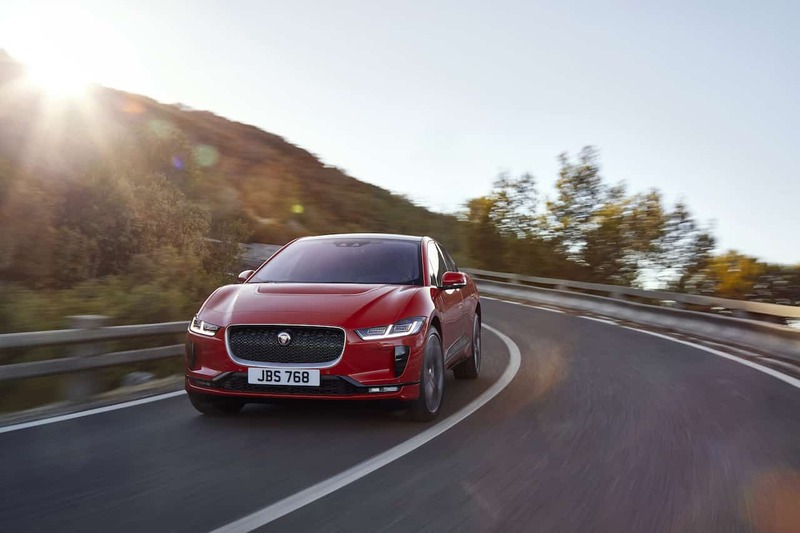 There is a reason: Jaguar presents the Jaguar I-Pace, the British manufacturer’s first full-electric SUV, a serious competitor to the Tesla – but more to come next time. 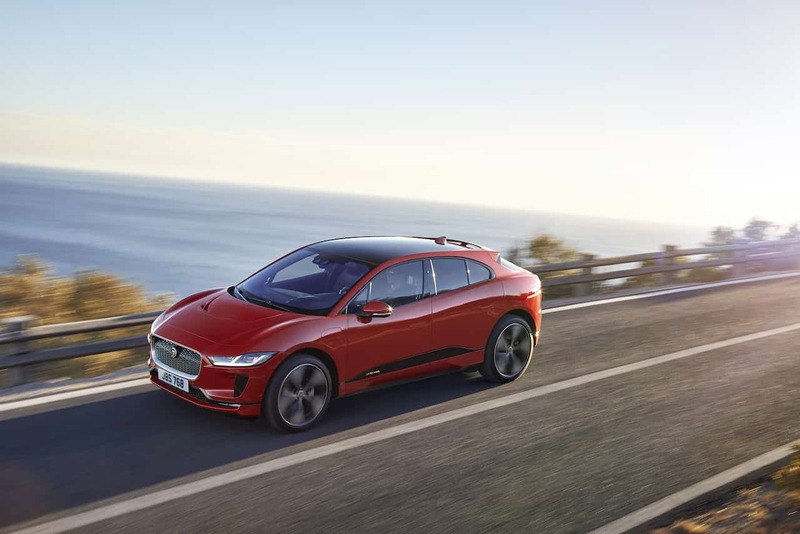 Car enthusiasts eagerly awaited the new Jaguar I-Pace. 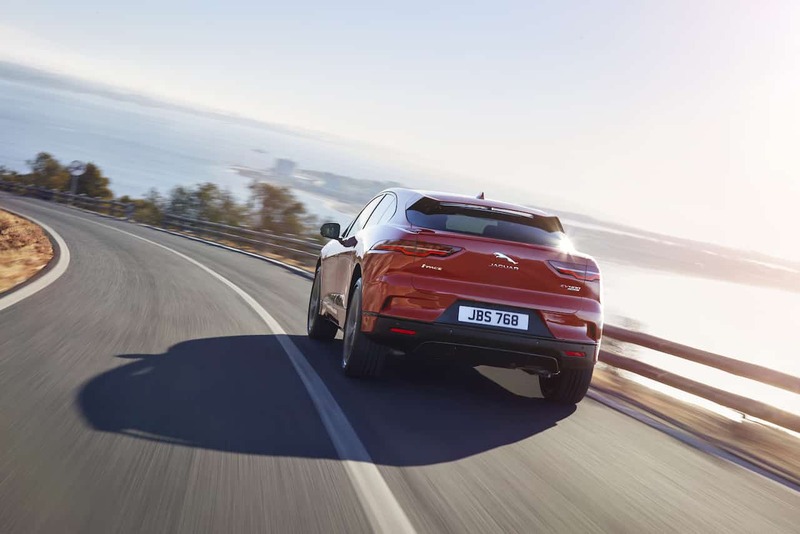 It’s not only emission-free, intelligent and safe, but combines sustainable sports car performance with the practicality of a five-seater SUV. So, let’s answer the most popular questions so far. 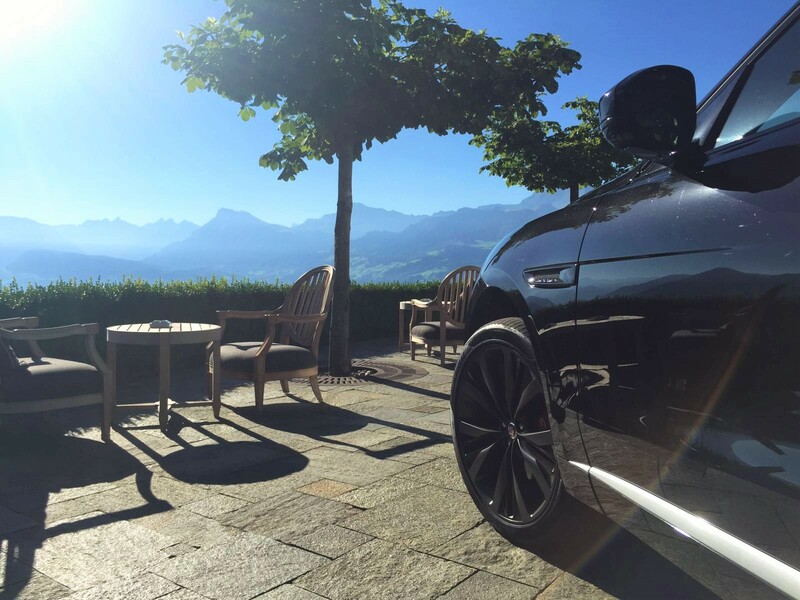 The range is as prominent with electric cars as the consumption of a petrol engine. 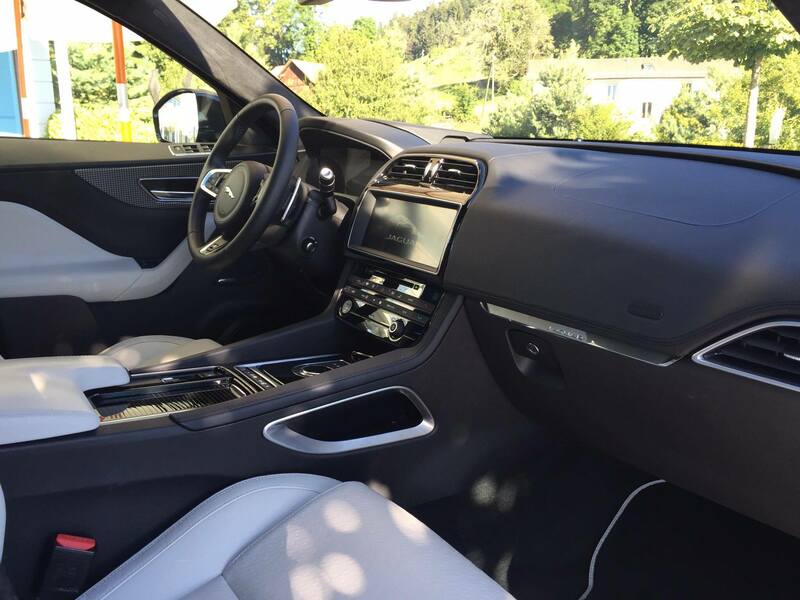 The state-of-the-art 90kW lithium-ion battery with 432 pouch cells – chosen for its high energy density and superior heat-sinking properties – gives the new I-Pace a range of 480 kilometers * (in the new WLTP cycle). Owners will be able to recharge the battery from zero to 80 percent in 40 minutes on a 100 kW DC fast charging station; If you only have 15 minutes, you can “refuel” in the same way 100 kilometers. 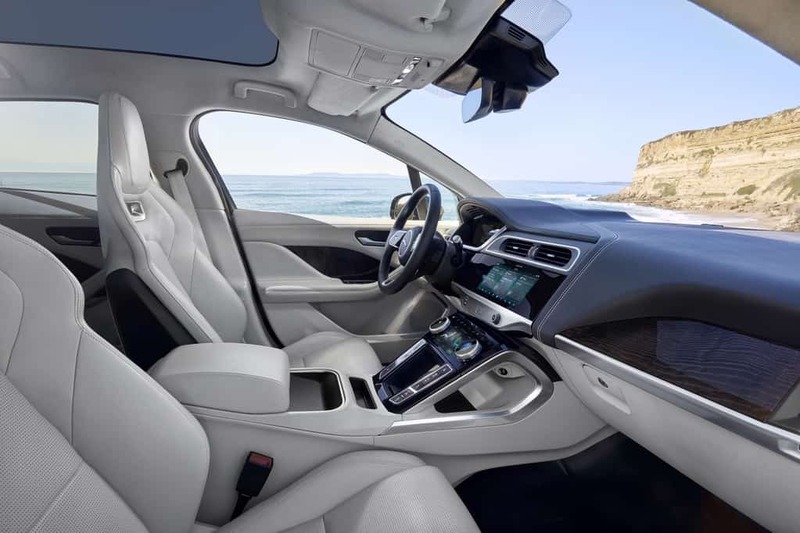 The spacious interior of the Jaguar I-Pace offers plenty of leg room in the back seat and comes up with intelligent shelves. Without a cardan tunnel, there is room for a 10.5-liter storage compartment in the center console, for storing mobile phones, keys or other small items. Compartments hidden under the rear seats are designed to fit tablets and laptops. The trunk volume of 656 liters surpasses that of most midsize SUVs; by moving the back seat, it can be extended to up to 1,453 liters. Despite the sloping roof line with 968 mm there is still enough headroom for the rear passengers. With its four-wheel drive, 294 kW (400 hp) and 696 Nm of maximum torque, the cat delivers an electrifying performance in the truest sense. The fully retrievable power lets the performance SUV sprint from 0 to 100 km / h in just 4.8 seconds. 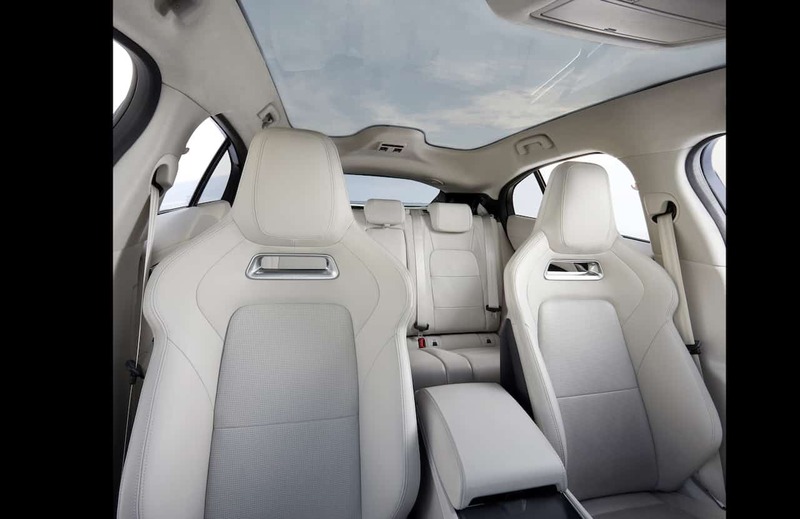 The elegant and elongated silhouette with short and flat hood, aerodynamically shaped roof contour and curved rear window reveals immediately: The Jaguar DNA is recognizable, a truly harmonious and sporty SUV. 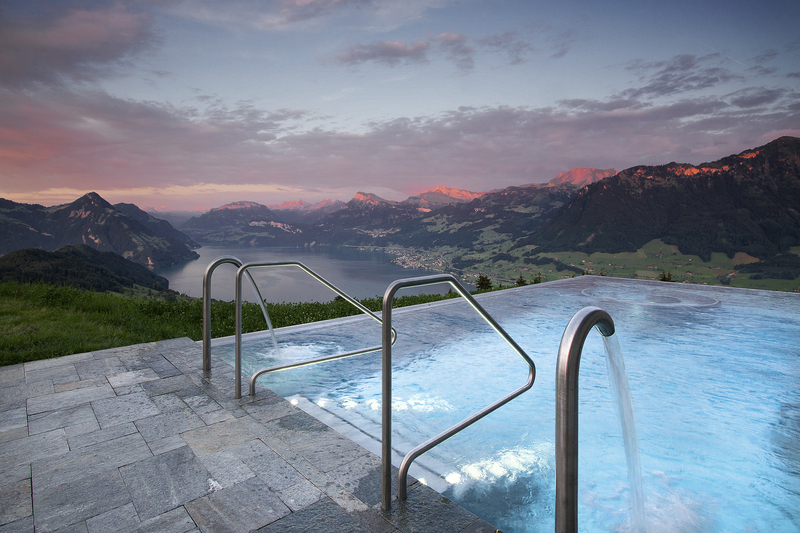 I wanna have it! But how much is it? 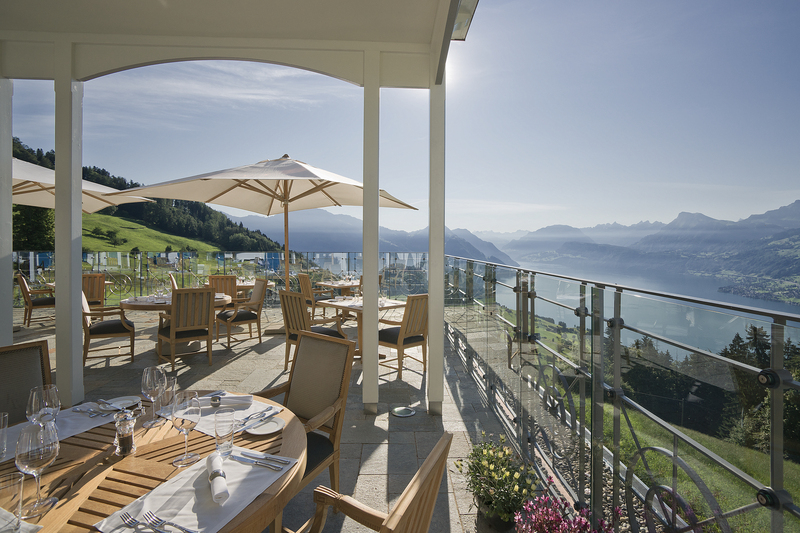 In Germany prices start from € 77.850, in Switzerland at 82’800 CHF. What’s the best car I drove so far? Yes, that’s probably the most popular question I’m being asked by my followers. But it’s not so easy to answer. There are plenty of amazing cars and at the end of the day it’s all about your taste and needs. Let me explain that a bit… Arguments like safety, understatement are important to you? You might want to get a Volvo. You need loads of space for your family, a car to go skiing but still it has to be classy? The Range Rover might be a good advise. Or, you’re into good-looking performance cars? McLaren is producing some really epic supercars. 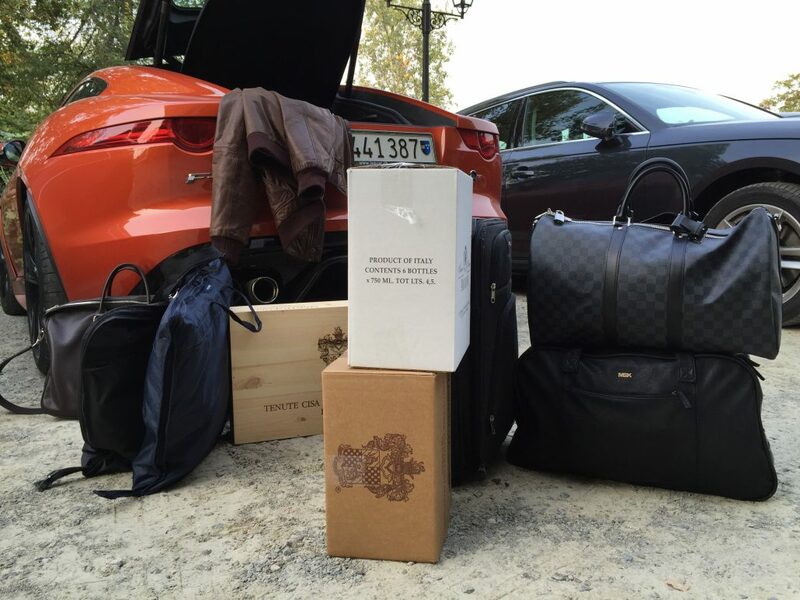 The perfect mix might be owning a ‘everyday-car’ and a sports car for the week-end. 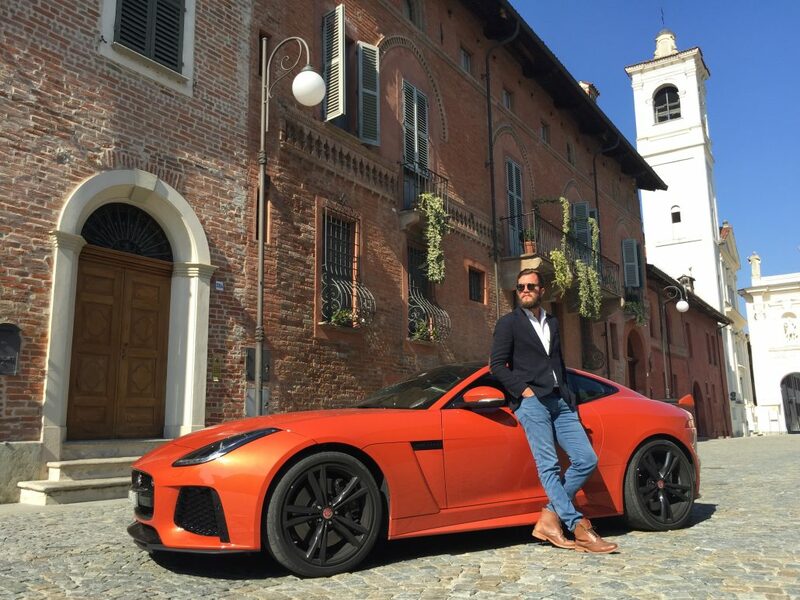 Jaguar F-Type SVR – is it my favorite sportscar below 200k? 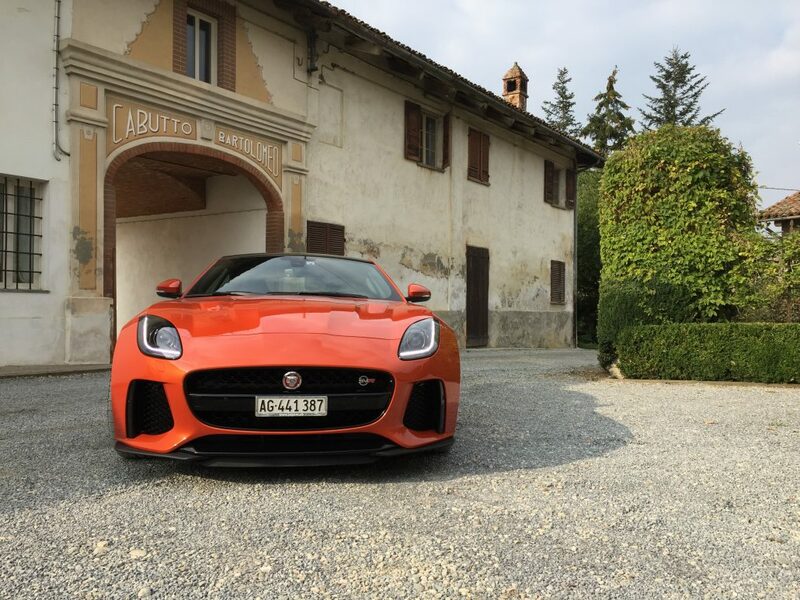 I didn’t drive them all yet – but so far, it’s the Jaguar F-Type SVR. No other car I drove, is such a harmony of excitement, power and class. It’s this very moment before unlocking the Jaguar F-Type, get in and start the engine. 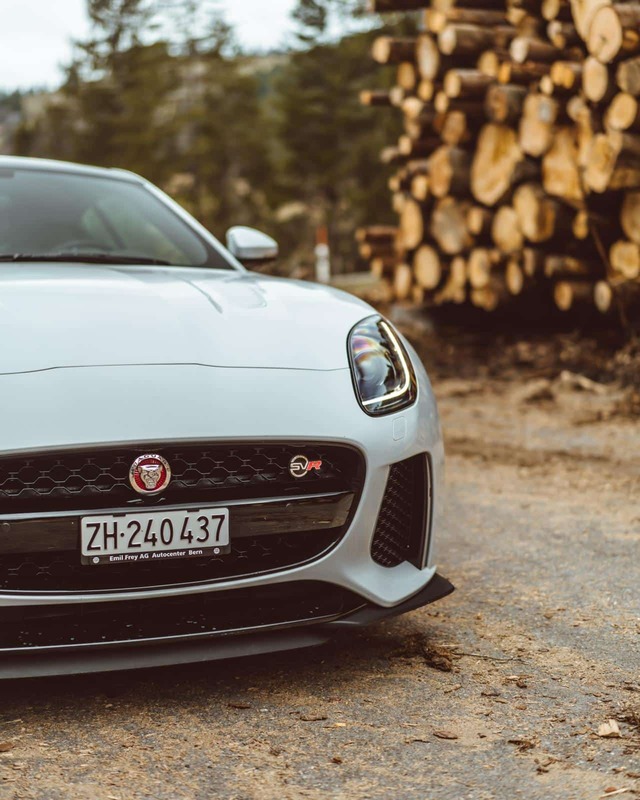 The sharp and aggressive look of the Jaguar F-Type SVR, but still this glance of a typical Jag. And once you unlocked it, its sound just leaves you goosebumps. To my taste, the Jaguar F-Type is simply unrivaled. Let’s analyze this, the Porsche 911 4s costs you around 190k, the same price for less power and excitement. That’s one of many reasons I can’t wait to drive it again – to celebrate that we got up early on a Sunday morning to film the Jaguar F-Type SVR with a drone. Of course, we will keep improving our videos, but I’m super happy with our first result. Thanks to my friend Kevin Kyburz for getting up early on a Sunday morning to film the Jag!